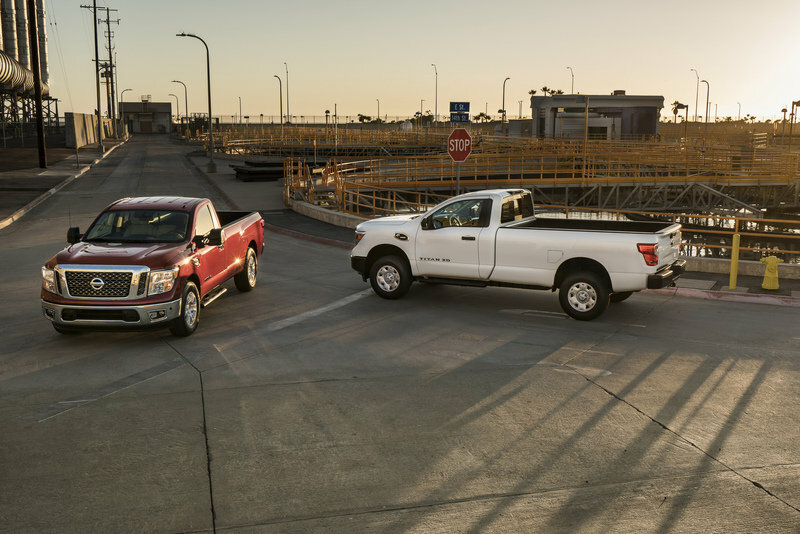 The second-generation Nissan Titan and its heavy-duty counterpart, the Titan XD are the newest members of the full-size pickup segment. The “heavier-duty” Titan XD arrived in dealers for the 2016 model year, while the half-ton Titan will hit showrooms for 2017. Missing until now was a single cab version. Now as both the Titan and Titan XD roll out for 2017, both trucks can be had in a regular cab, long bed configuration. 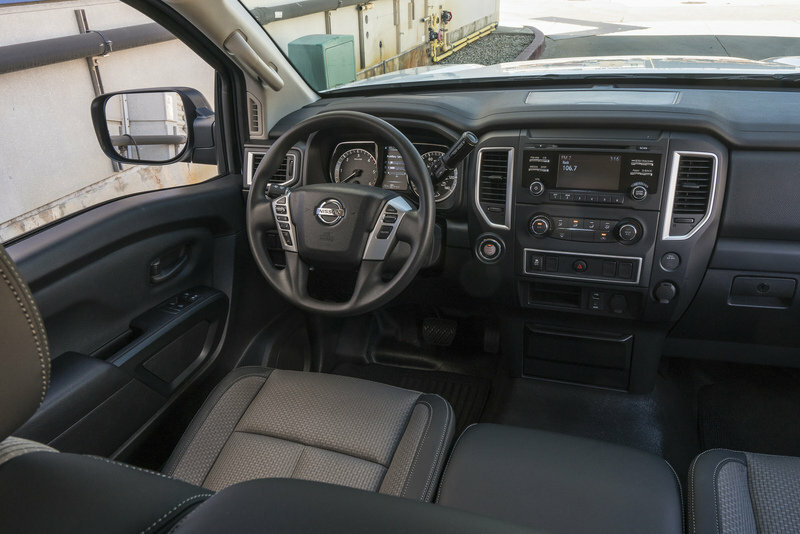 Nissan’s obvious target is the fleet and commercial segment where regular cab, work trucks offer all the capability of their extended and crew cab counterparts, but with less buy-in cost. Sure, there’s only room for three, but until the late 1990s, that was normal for most pickups. "Once we complete the roll-out of all Titan cab, bed, powertrain, and grade level configurations, our all-new Titan family will cover about 85 percent of the total light pickup marketplace," said Rich Miller, the chief product specials for Titan and Titan XD. "More importantly, “ he continues, “the Titan XD and Titan single cabs will have the power, torque, heavy duty chassis, and durability demanded by today’s demanding worksites – including the highest towing capacities and payloads in the lineup." Did you catch that? The regular cab versions of the Titan trucks will have the highest payload and towing specs of the trucks’ lineups. The addition of a regular cab also means Titan XD customers can choose from the three traditional cab sizes with three bed lengths. Like all trucks in the industry, the available wheelbase lengths limit the number of cab and bed configuration. You can’t get a regular cab, short bed Titan XD even if you wanted it. 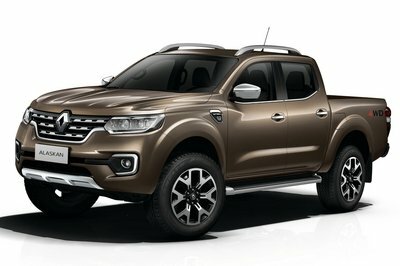 Nissan could potentially make that combination available on the half-ton Titan in the future. Both the Titan and Titan XD regular cabs will be available the S and SV trims, giving fleet managers a choice between the base and mid-grade levels. In the Titan XD, two engine options and two drivetrain options are given. 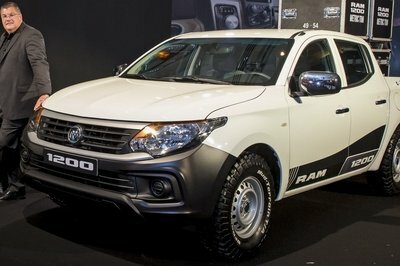 This includes the heavily revised 5.6-liter Endurance V-8 and the new 5.0-liter Cummins V-8 turbodiesel, along with the choice of 2WD or 4WD with either engine. So let’s dive into the Titan XD regular cab for all the details. Not surprisingly, the single cab version of the Titan XD carries the same design styling as its bigger-cab brother. The front end retains that large-and-in-charge grille with the bold TITAN lettering across the top. The front fenders still bulge outward like the broad shoulders of a body builder. The rear fenders have a similar bulge, though not as prominent. Single cab versions are limited to the base S and mid-grade SV trims, so the fancy fixin’s on the Pro-4X, SL, and Platinum Reserve are absence. For instance, the truck wears smaller wheels, chrome mirror caps, fender flairs, and the option for a two-tone paint scheme. The base S trim comes with a black grille and bumper, denoting its no-fills work truck attitude. It rolls on 17-inch steelies wrapped in LT-rated tires. Black mirror caps and door handles keep the work truck look in full swing. Opting for the mid-grade SV adds the chrome grille, bumpers, and door handles, along with alloy wheels. With either trim level, the Titan XD single cab offers a full-size, eight-foot cargo bed ready to haul. 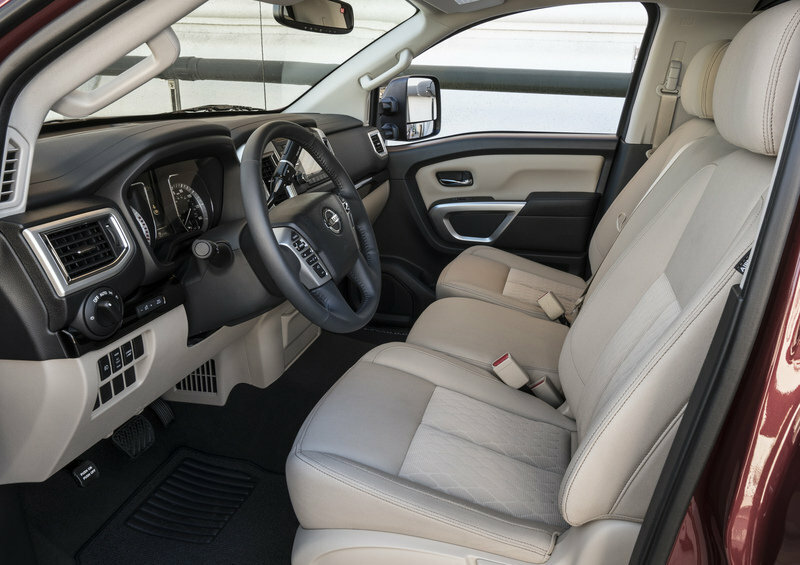 The Titan XD’s interior retains the same dash layout as the crew cab version, though the lower grade trim levels will keep out higher-spec features like leather seats and upgraded electronics and driver’s aids. Seating is a 40/20/40 split bench configuration, giving all three occupants their own spot and three-point seatbelt. Two color choices are available: a light tan and darker smoke grey. Most fleet buyers would be wise to go darker, keeping stains and grime more hidden. Vinyl flooring comes standard on the S grade, while color-keyed carpet can be had in the SV. Surprisingly enough, the Titan XD comes standard with keyless entry and push-button start. Also standard is the large driver information screen between the two analog gauges. This gives a wide array of vehicle info like oil pressure, transmission fluid temperature, and fuel economy stats. 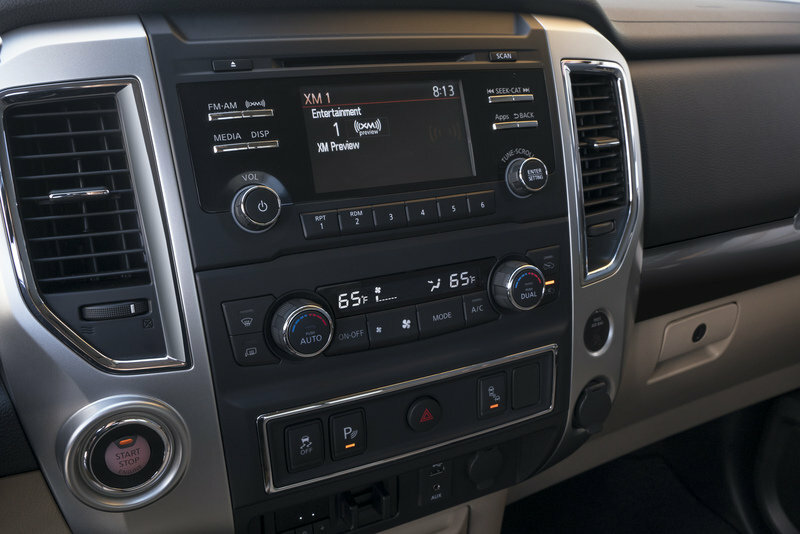 Power windows and locks are also standard, one-upping Chevy, Ford, and Ram. The standard outside mirrors are large, single-pane units, but customers can opt for the larger, dual-pane towing mirrors. Of course, the Titan XD single cab is available with either engine choice. 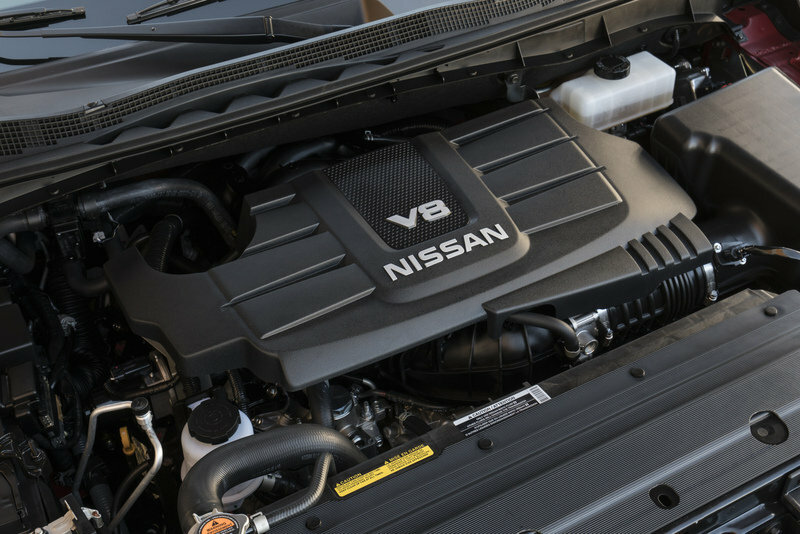 The standard mill is Nissan’s heavily reworked 5.6-liter Endurance V-8. 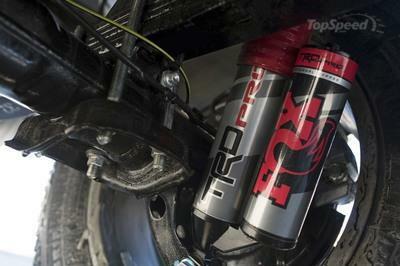 The engine now makes 390 horsepower and 394 pound-feet of torque thanks to direct fuel injection, variable valve timing, and finer tuning with the control module. The gasser is mated to Nissan’s own seven-speed automatic transmission. The optional engine is the well-talked-about 5.0-liter Cummins V-8 turbodiesel. Developed and built by the legendary diesel engine builder, Cummins, the engine is designed for medium-duty towing and hauling needs while getting respectable fuel economy around town. The V-8 makes a hardy 310 horsepower and 555 pound-feet of torque. It mates to an Aisin six-speed automatic transmission. Both the gasoline and diesel engines can be had rear-wheel drive or the optional 4WD system. Nissan has not released pricing for the 2017 Titan XD single cab, but count on it significantly undercutting the starting price of the Titan XD crew cab’s $35,290 starting price. We’d guess the base S trim equipped with the gasoline V-8 and 2WD will start around 31,000. Technically the Titan XD fills the gap between the half-ton and three-quarter ton segments, leaving it somewhat in no-man’s land. Still, here are its closes competitors. The Ford Super Duty is all new for 2017, adopting many of the traits found in the current F-150. These include the all-aluminum body, a more refined interior, and a slew of driver aids and safety features. For those fleet managers and commercial drivers, the Super Duty hase been a top choice for decades. Nissan will have its work cut out to even dent the Super Duty’s reign on the segment. 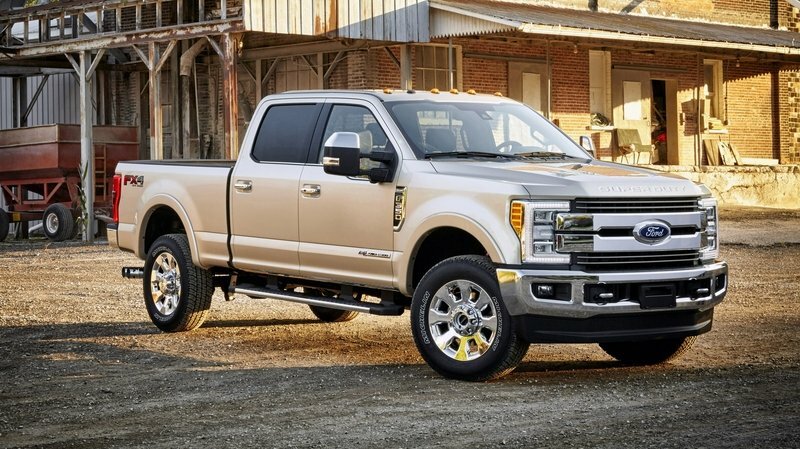 The base F-250 Super Duty comes powered by Ford’s 6.2-liter V-8 backed by a six-speed automatic transmission. The engine generates 385 horsepower and 430 pound-feet of torque. Optionally, Ford offers its 6.7-liter Power Stroke V-8 turbodiesel with 440 horsepower and a class-leading 925 pound-feet of torque. The F-250 when properly equipped can tow 18,000 pounds at the receiver hitch. (Read our full review of the Ford Super Duty here. 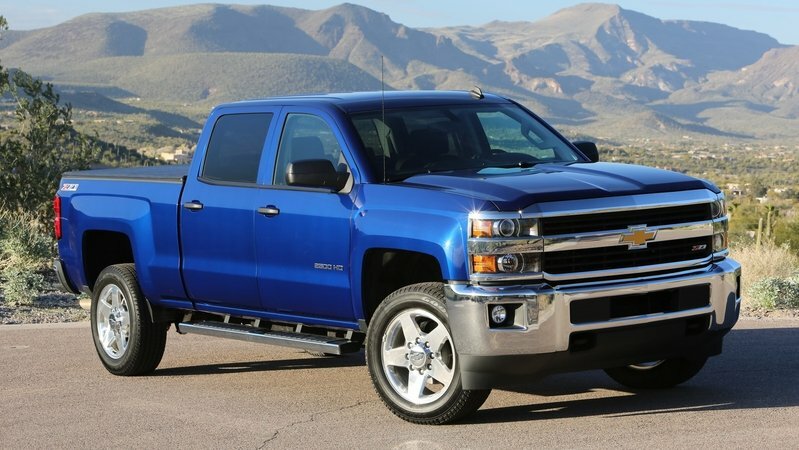 The Silverado has held a top spot in the heavy duty segment for ages despite its own age. It’s exterior and interior were updated for 2015, but its powertrain and frame were last updated in 2011. The standard 6.0-liter gasoline V-8 is the least powerful engine is the HD segment, making 360 horsepower and 380 pound-feet of torque. 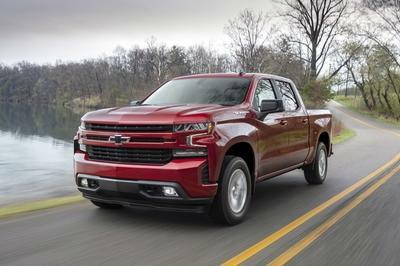 The 6.6-liter Duramax V-8 turbodiesel, like its gas-powered little brother, is the least powerful diesel in the segment. It makes 397 horsepower and 765 pound-feet of torque. Of course, that’s more than the Titan XD’s Cummins, but the Titan XD is really in its own segment. Read our full review of the Chevy Silverado 2500 HD here. 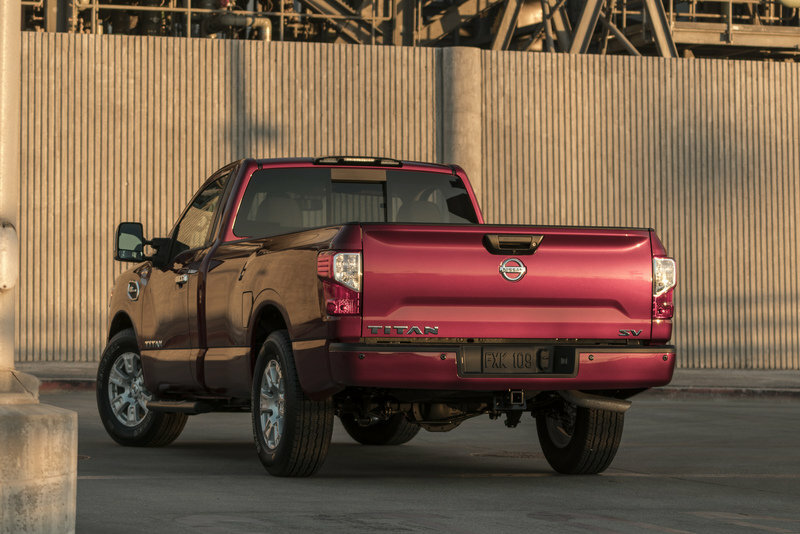 The 2017 Nissan Titan XD single cab is a fantastic challenger to the stalwarts of the segment. Nissan seems to have done its research when building the truck in hopes of stealing sells. That’s certainly evident with the single cab aimed at the fleet and commercial markets. It will be interesting to follow the Titan XD’s progress over the next few years. Hopefully Nissan’s work will pay off. CARMEL, Calif. – The next chapter of Nissan’s "Year of the Truck" was unveiled today with a sneak peek of the latest members of the TITAN full-size pickup family – the 2017 TITAN XD and TITAN Single Cab models. The first-ever single cab offering in TITAN history, the new trucks are designed to provide an affordable and rugged entry-point in the commercial fleet/work truck market. The Single Cab is the second of three eventual TITAN body configurations, joining the current Crew Cab and future King Cab. The Single Cab models are scheduled to go on sale in late fall 2016. 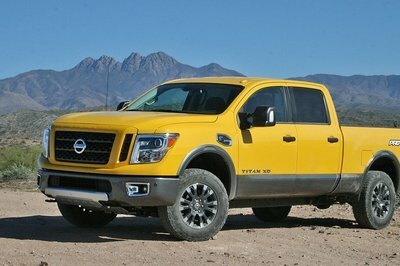 "Once we complete the roll-out of all TITAN cab, bed, powertrain and grade level configurations, our all-new TITAN family will cover about 85 percent of the total light pickup marketplace," said Rich Miller, director of Product Planning for Trucks, SUVs and Commercial Vehicles, Nissan North America, Inc. and chief product specialist for TITAN and TITAN XD. "More importantly, the TITAN XD and TITAN single cabs will have the power, torque, heavy duty chassis and durability demanded by today’s demanding worksites – including the highest towing capacities and payloads in the lineup." TITAN will ultimately be available in a total of three cabs, three bed lengths, three engines, 4x4 and 4x2 drive and S, SV, SL, PRO-4X and Platinum Reserve trim levels. The new single cab will be offered in both TITAN XD and TITAN configurations, with both versions sharing the same cab dimensions and 8.0-foot pickup beds but completely separate fully boxed ladder frame chassis. The TITAN XD Single Cab, like the TITAN XD Crew Cab, will be offered in a choice of two engines – the Cummins® 5.0L V8 Turbo Diesel, which is rated at 310 horsepower and 555 lb-ft of torque; and the 5.6-liter Endurance V8, rated at 390 horsepower and 394 lb-ft of torque. 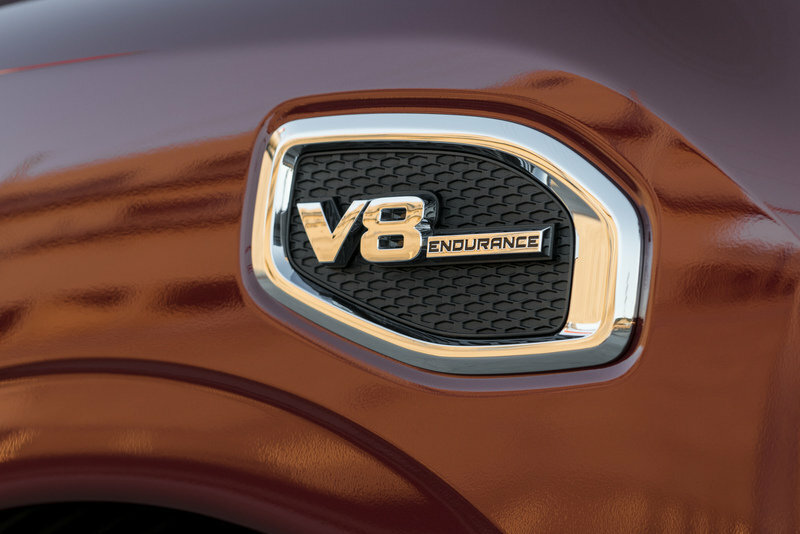 The TITAN Single Cab, with about a foot shorter wheelbase, will be offered initially with the new 5.6-liter Endurance V8 (a V6 engine will be available at a later date). Diesel equipped models feature an Aisin 6-speed automatic transmission and V8 gasoline engine equipped versions will utilize a 7-speed automatic transmission. Along with a choice of 4x4 and 4x2 drive configurations, two grade levels will be available with both TITAN XD and TITAN Single Cabs – S and SV, along with a number of optional equipment packages. "The new Single Cab takes TITAN into new territory, bringing the innovative design and bed utility that TITAN has been known for to a wider base of commercial use buyers," added Miller.